Some people appear to be "natural born leaders." But are they literally born that way? Or have they been taught, coached, rewarded, and reinforced in ways that enable them to be leaders? 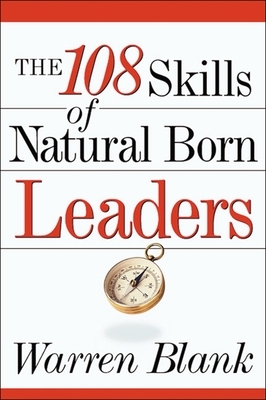 According to The 108 Skills of Natural Born Leaders, no one is born a leader. But everyone has the natural born capacity to lead. We label people ""natural born leaders"" because they consistently and frequently model qualities that inspire others to commit to their direction. This book identifies the skill set that causes others to see people as natural born leaders, helps readers assess their current level of these skills, and coaches readers to master their weak areas. Readers will learn: * Foundation skills, including self-awareness and the ability to establish rapport * Direction skills, including the ability to set a course and develop others as leaders * Willing follower skills, including the ability to influence others and create a motivating environment. Warren Blank is president of The Leadership Group, which provides consulting and training services to Fortune 500 companies and large U.S. government agencies. He is author of "The 9 Natural Laws of Leadership."